All tickets sales are made in good faith but the purchaser. 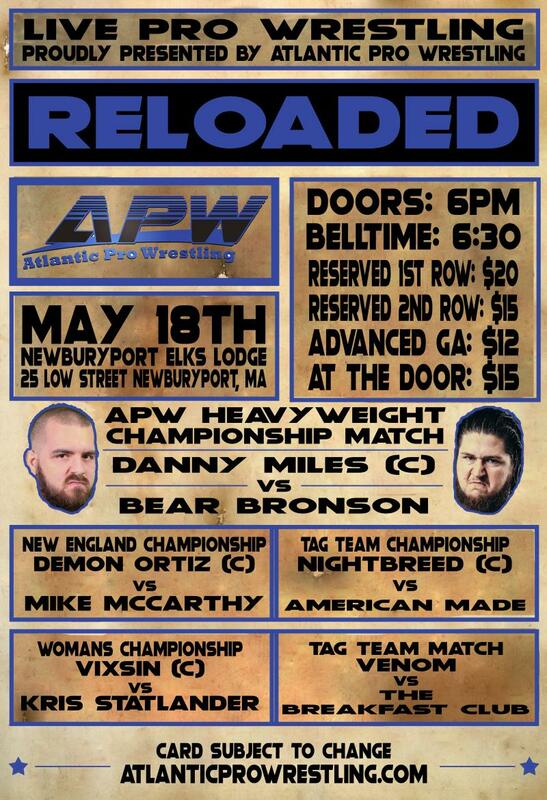 If there is a error when purchasing your tickets, please email atlanticprowrestling@yahoo.com. APW Management will be glad to work with you on one of the following options. A refund for the full amount will be made directly to you. PLEASE DO NOT OPEN A DISPUTE WITH PAYPAL. THERE IS AN ADDITIONAL FEE THAT IS CHARGED TO APW. We will gladly work with you on any ticket issue!